We didn't really know what we were getting into here. 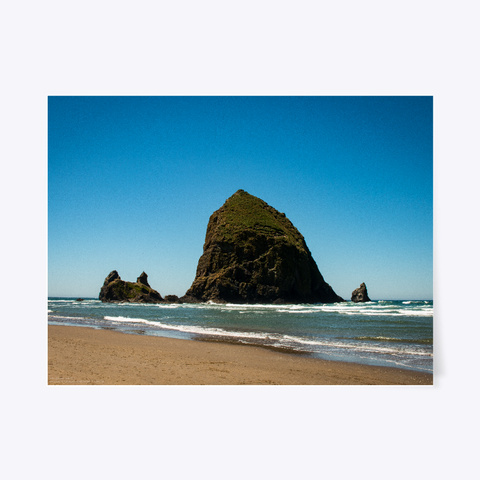 We knew nothing about Cannon Beach, or this rock, or the Oregon coast for that matter! We just had to stop because Steve had an interview and we were afraid of losing signal while we were driving. Good thing we stopped, because that very thing happened. A lot. This rock is apparently famous. So I'm told. The beach was gorgeous, as are much of the beaches on the west coast. It's easy to get to and the town itself is charming. Check out Cannon if you ever get a chance!